Wairarapa is jam packed with things to do over the long Easter weekend. 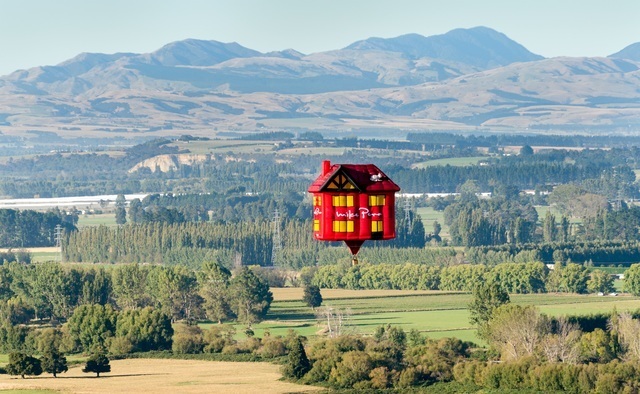 Wairarapa Balloon Festival - there are many free events as part of the Balloon Festival, on right over Easter weekend. Check out the full programme here. Don't miss the special shape this year - Busby the Queen's Guard standing at over 29 metres tall!. A highlight of the festival is the Trust House Night Glow where tethered balloons light up to music on Saturday 20 April from 3pm-7.30pm. There's a special Balloon Festival Easter Sunday Te Kairanga market too. Moy Hall Easter Dinner. Celebrate the start of the long weekend at Moy Hall. Select from 3 courses and enjoy with Moy Hall wines. Thursday 18th from 6pm. Bookings essential. Head to Aratoi Museum of Art & History to check out their new multi-media exhibition WAI - Manga Maha, Awa Kotahi | One River, Many Streams about reconnecting the Wairarapa community with its waterways through art. You'll see 80+ hand-sculpted ceramic eels swim along a 5m-long stream in the gallery and negotiate a wall plus much more! Take a self-guided tour around charming Cobblestones Museum in Greytown. Check out their fabulous new exhibition GREYTOWN: 38 Sections, 38 Stories featuring a three metre scale model of the town, taking visitors along Greytown's Main Street as it was at the end of World War I.
Pukaha, National Wildlife Centre has a Scavenger Hunt on every day over Easter weekend from 9am - 4.30pm - explore the forest for creepy crawlies and their chums! Learn more here. Race the Rock at Rivenrock- a three-lap circuit race half climb half descent wtih Men’s, Women’s, and children’s races on Saturday 20th April from 9.30am - 4pm. Learn more here. Easter treats in Wairarapa. From award winning hot cross buns at Ten o'Clock Cookie, Easter eggs and chocolate at Schoc Chocolates, C'est Cheese'e new Cheese Bar and many more foodie delights! Check out what is open in Martinborough on Easter weekend days here. We have lots of great accommodation all over the Wairarapa you can book right here. Or our super i-SITE Visitor Information team can book this for you. 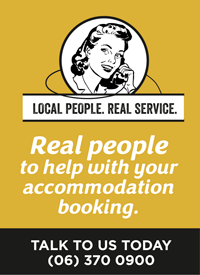 We have local people offering real service. Give them a call.